After eight long years of turmoil and unrest, the long-drawn Syrian conflict has yet to show any continued signs of stabilizing. The war has has left 1.5 million people with permanent disabilities, with at least 6.2 million Syrians internally displaced, and another 5.7 million have to flee abroad. Of this number, an estimated 1.5 million Syrians have sought refuge in Lebanon. The refugee crisis is a complex, nuanced global issue, with forces at work that we cannot fully comprehend. Despite this, we believe that there are many tangible ways that we can help to improve the lives of those affected. Our team firmly believes in development beyond aid. Development agencies and workers are crucial to the alleviation of suffering in humanitarian crises, but there is also a need to go beyond purely aid. We believe in dignified economic opportunity for refugees, many of whom have a strong desire to work but lack the opportunities to do so. There is a need for sustainable livelihoods for refugees, and the UNHCR believes a large portion of viable livelihoods for refugees lays in craftsmanship. 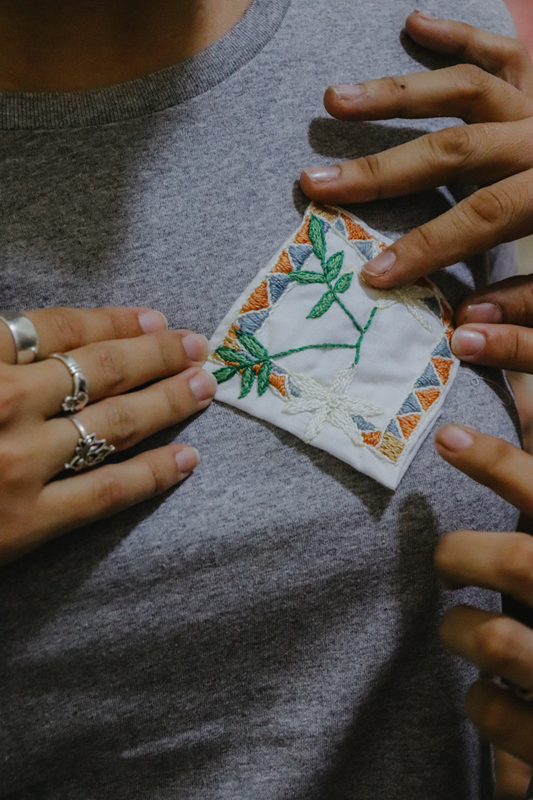 Following the success of our Threads of Syria capsule collection released in 2017/2018, we have further developed a new capsule collection with our ground partner Tight-Knit Syria and the collective’s Syrian women artisans in the Chatila camp in Lebanon. The end result is our 2019 Spring Capsule - Aleppene Threads, a series of organic cotton tees with Syrian embroidery inspired by the old city of Aleppo, Syria. The collection comes in a gender-neutral white tee, as well as a feminine-cut grey tee. Designed in conjunction with our Syrian artisans, each piece is inspired by a piece of home. The ‘Aleppene Jasmine’ Cotton Tee in Grey. 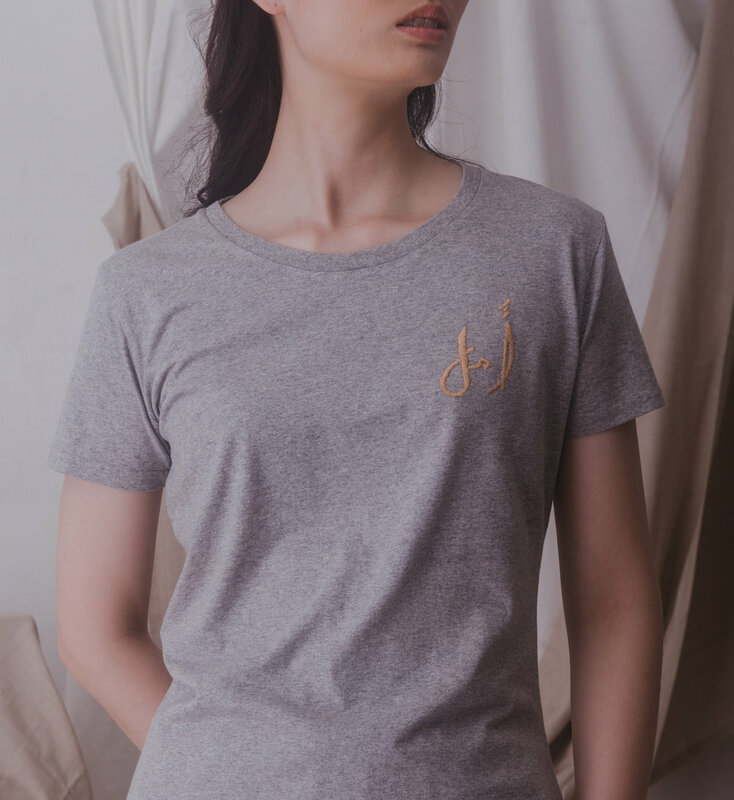 Made from fair-trade eco-friendly cotton using renewable energy, the Aleppene Jasmine and Golden Amal tees feature hand-stitched embroidery by our Syrian artisans. 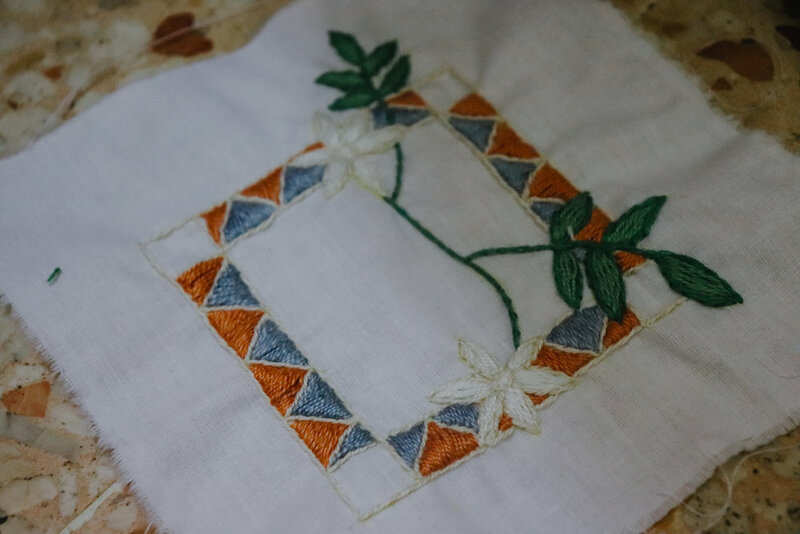 The ‘Aleppene Jasmine’ features an effervescent sprig of jasmine, with Syrian cross-stitch border. This design pays homage to Syria as the country of jasmine, before the media marked it as a country of war. 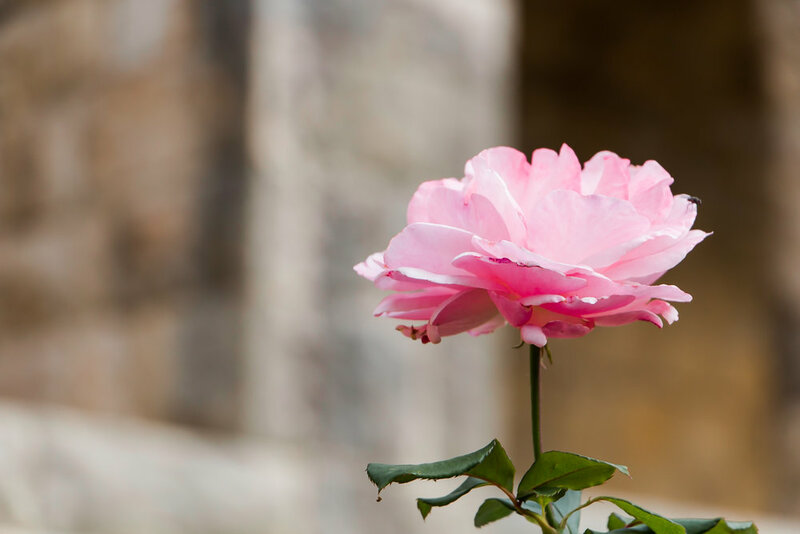 Traditionally known as a symbol of peace and happiness in Syria, the Jasmine flower can easily be found across Syria, and is an important part of the country’s landscape. Our artisan partners often reminisce of its beautiful scent found back in their hometown, in the corner of every Aleppo street, every courtyard, and every home. The ‘Amal’ Cotton Tee in Grey. A symbol of positivity, the character ‘Amal’ is hand-stitched with golden thread onto the ‘Amal’ cotton tee. As always, all proceeds from Threads of Syria goes to the Syrian women refugees and their camp community. The world may know Syrians primarily as refugees. But more than that, their silent strength and will to carry on despite the harsh conditions speaks volumes to their hidden and untapped potential. We know that our silent encouragement for those who are affected by the crisis can translate into tangible support. Now, more than ever, they need all the support we can give. To read more about Threads of Syria, and learn more about how you can help with the refugee crisis, click here.